Moosehead in the Spring is a lush green forested landscape teeming with awakening wildlife. 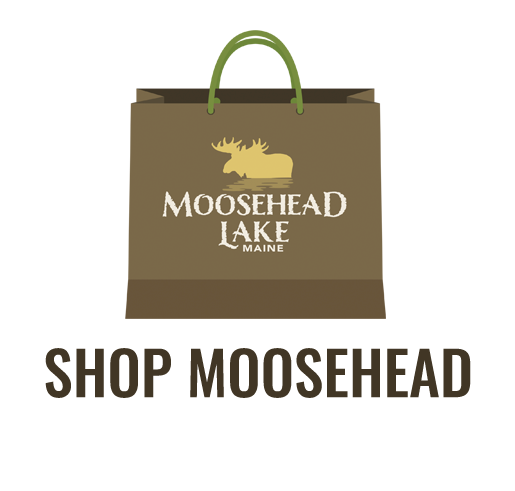 The Moosehead Lake Region, aptly named, is famous for its abundant moose population. Spring is the most opportune time to catch a glimpse of moose calves with their mothers munching on new growth along the side of any number of our back country roads or eating up the water grasses of shallow lake inlets, such as Socatean Bay. May and June are the most promising months to get an up close look at this intriguing animal. As well, bear cubs, deer fawns, loon hatchlings, and eaglets are all beginning to find their legs and wings and can often be seen just beginning to experience their environment. 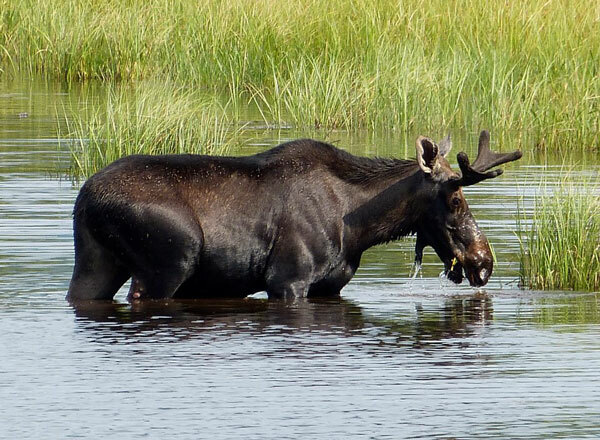 Whether you hire one of the area’s professional Maine guides or strike out on your own, you are certain to get a glimpse of the abundant, diverse wildlife Moosehead Lake is famous for. Perhaps four-wheeling is your desired mode of recreational transportation. 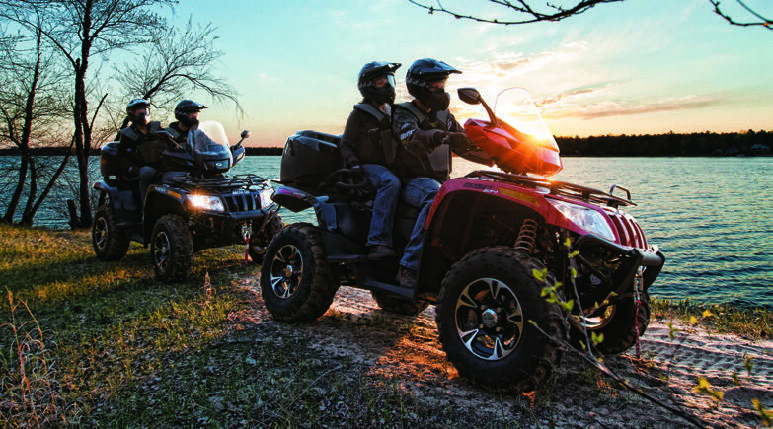 Miles of ATV trails winding through the North Woods are waiting for you to explore. Breathe in the fresh mountain air and take in the panoramic trailside views just before you duck into the tree-lined paths. Splash through the biggest mud puddles, then dry out with a picnic lunch along the way. You may even have a companion moose watching you from the brush. The biggest Maine lake naturally houses the biggest Maine fish! Spring fishing on Moosehead Lake can produce the catches legendary fishing stories originate from. 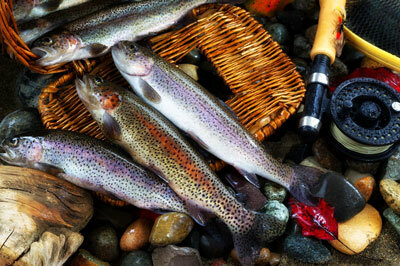 Come throw in a line for salmon, brook trout, and lake trout. Spring fishing begins May 1st, so be sure to ask our merchants and professional Registered Maine fishing guides where those special fishing spots on the lake are! The best fly-fishing can be found on Rockwood’s Moose River and the nearby Kennebec River beginning in April. You’ll find plenty of pools, pocket waters, and rapids to dangle your fly over. Both rivers can be accessed by canoe, from the shore, or by wading. Our shops have you covered if you forget your Gray Ghost, Joe’s Smelt, or Supervisor flies. Striking Mt. Kineo protrudes boldly up out of the crystal blue depths of the lake, the immaculate golf course greens are splayed out in front of you, and the quiet, calm whir of fishing reels echo off the placid waters. Waterfalls are at their most impressive during the Spring run-off season. 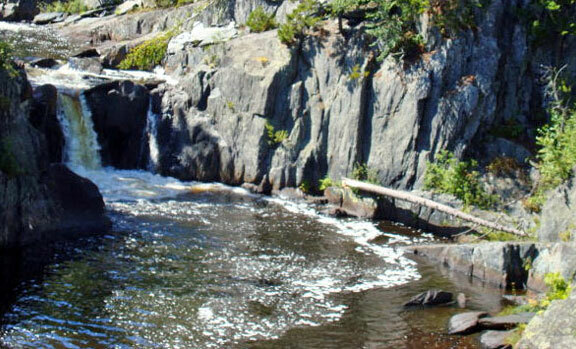 The Moosehead Lake region is home to some of the Northeast’s most stunning waterfalls. Gulf Hagas, often referred to as the Grand Canyon of Maine, boasts Screw Auger Falls and Buttermilk Falls, and is a spectacular hike in the Spring. Take the short, moderate hike into Moxie Falls, and awe over the 30 yard drop’s frothing, falling waters. Or hike into the 60 foot vertical drop of Wilson Falls in The Hundred Mile Wilderness, part of the most remote section of the Appalachian Trail. The Moosehead Lake Region is a lush green and pastel landscape in mid to late Spring. 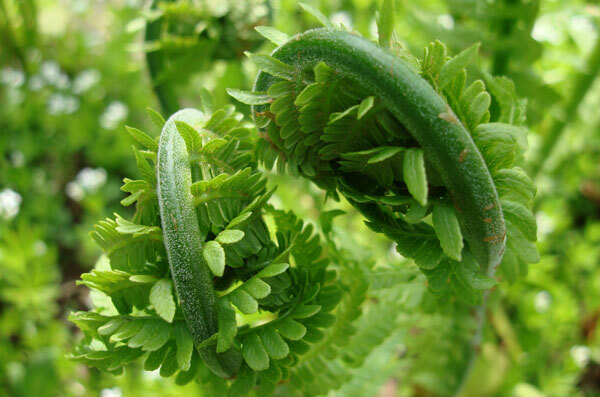 The region is known for a particular fern called the fiddlehead. Picked just as they begin to curl up from the soil, this plant is a sought after delicacy, enjoyed steamed or canned, with butter or salt and vinegar. Ask any local for the best picking spots and come try them for yourself. A variety of wildflowers abound in the Moosehead Lake region. Lupines are an area treasure; fields of them flourish and are a sight to behold.